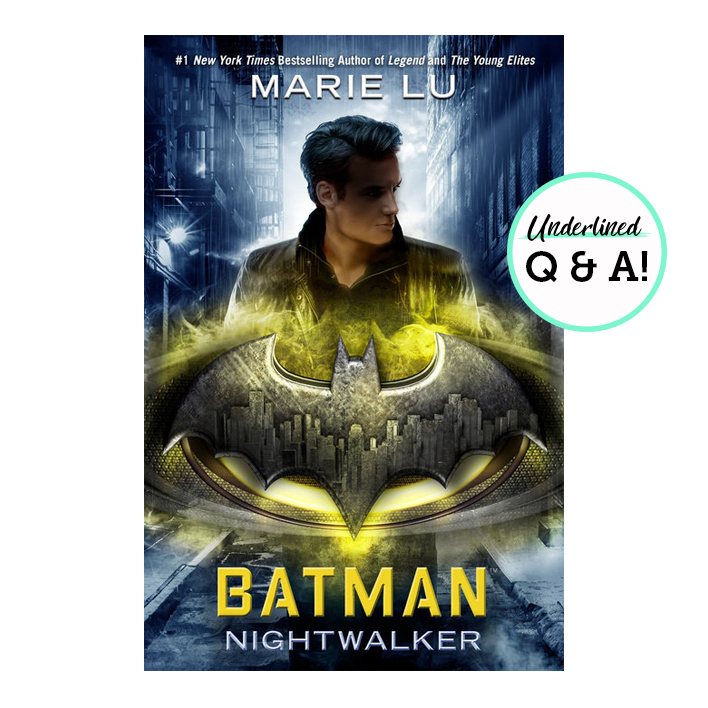 Exclusive Q&A: Authors Adriana Mather and Tara Goedjen Know All About Ghost Stories. . . 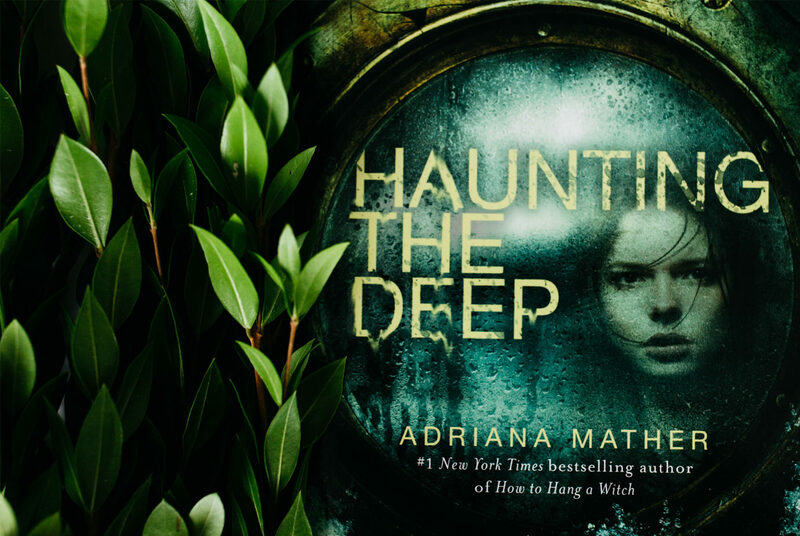 It's Halloween season and we are totally crushing on Haunting the Deep by Adriana Mather and The Breathless by Tara Goedjen, two creepy tales full of ghosts, witches, and twists that will chill you to the bone. We sat down with both authors to learn more about their inspirations, writing process, and of course, their favorite Halloween costumes. 1. What was your favorite Halloween costume as a teenager? Adriana: A banana! The costume was HUGE. I could barely walk in it. But now I have a dog named Banana, so it holds a special place in my heart. Tara: My favorite costume ever was for a Mad Max–themed party. 2. What is your favorite scary movie? Tara: The Shining, hands down. 3. What is your favorite fall treat? Adriana: Pumpkin pie and anything that involves coffee and whipped cream. Tara: I once lived in Alaska, where I was cold nearly all the time. It always felt like fall or winter to me, and there was always the smell of a fire and crispness in the air. Anyway, there was a little shop there named Kaladi Brothers Coffee, which had the perfect selection of tea and coffee and hot chocolate, and I still remember how happy walking through those doors made me. 4. What inspires your writing? Adriana: Old creepy stories, family history, travel, and dreams. Tara: Usually ideas come to me because of a place I’ve visited, and something about it calls to me. Sometimes it’s as specific as a tale about the place’s history or as fleeting as the way the streetlight hits a house on a dark lane. I have a very vivid imagination, and I’ve always been a daydreamer. I have a tendency to think of what-if scenarios everywhere I go, and they’re usually panicky. Like, how would I survive if this bus drove off the bridge? Or what would happen if a bee stung my neck and I couldn’t breathe? 5. Do you have any unique writing habits? What is your process like? Adriana: I write in bed. Someone once compared me to the grandparents in Charlie and the Chocolate Factory. And I thought, yes, that is the most apt comparison I’ve ever gotten. The most important thing I do while writing, though, is give it my time. I know that sounds obvious, but it makes all the difference. I will write for weeks (sometimes months) on end, from when I get up until I’m exhausted. The story just takes over my life, and until it’s on paper, it’s hard for me to focus on anything else. Tara: For me, it’s best to stay with a story as much as possible while I’m drafting. To write for long stretches, every day, until I’ve written “the end.” It’s a breakneck pace that would be impossible to keep up without burning out. But if I could have my preference, that’s the way I’d work on every book. A full-on, concentrated effort for a few months to get the arc of the narrative down. The best part of immersing yourself in the world and its characters is when they begin to seep into everyday reality. Sometimes, when you’re working on a project, you start to hear it echo back at you. For example, you might be reading about a particular legend that is really obscure, and then your neighbor will bring it up out of the blue the next day. These are the uncanny coincidences that happen when you’re always carrying a project with you in the back of your mind. But, of course, what really gets the work done is sitting down in front of a computer and just doing it. I used to be able to write before my day job and after I got home, but now that I have an eight-month-old daughter, it’s all about snatching whatever free minutes I can find and writing as much as I can. In an ideal world, my process would always include a lot of time and a cup of coffee (and some chocolate)! 6. What is your all-time favorite book or author? Adriana: ONE BOOK? I worry about picking a favorite, because I don’t want the other books to get their feelings hurt. But how about the books that had the biggest impact on me as a child/teen? Anne of Green Gables, The Color Purple, The Little Prince, Siddhartha, and Slaughterhouse-Five. Tara: Beloved by Toni Morrison. We Have Always Lived in the Castle by Shirley Jackson. A recent favorite is The Darkest Part of the Forest by Holly Black. 7. What is the last book you read? Adriana: I’m currently reading A Poison Dark and Drowning by Jessica Cluess. Tara: I just came across The Girl from the Well by Rin Chupeco. I thought it was absolutely stunning—just like Labyrinth Lost by Zoraida Córdova, which I’m currently reading. (I’m on the last chapter as we speak!) 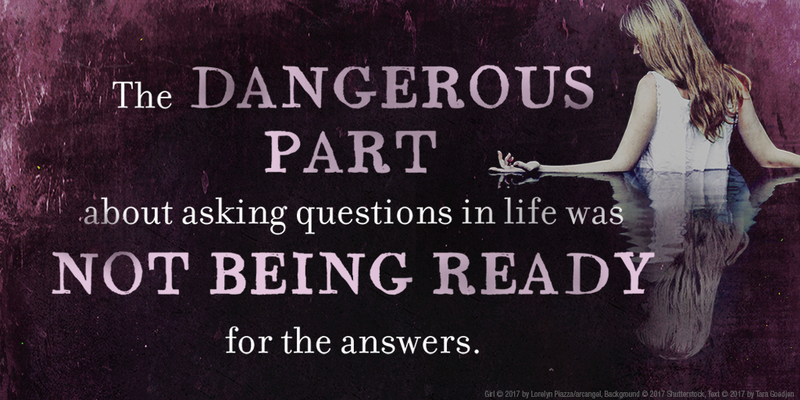 And I can’t wait to get my hands on Amanda Searcy’s debut, The Truth Beneath the Lies. 8. What is your favorite show to binge-watch? Adriana: It’s a tie between Gilmore Girls and The Office—they always makes me laugh. Tara: Stranger Things and Game of Thrones. 9. What is a fun fact about you that your readers might not know? Adriana: I used to ask my father to break open the stones in our driveway when I was a kid because I wanted to know what was inside them. And even now, if I find a pretty rock, I’ll bring it home with me. Tara: This is the year that I became a mom. Watching my daughter learn something new about the world every day has been incredible, and I already know that there’s so much for me to learn from her. She puts a new perspective on the world for me. For example, the other day I brought in a cactus and set it down near her bouncer. (Don’t worry; it wasn’t close enough for her to touch.) The next thing I knew, she had turned toward it and was babbling away, as if she expected it to talk back to her. And who knows, maybe it did! 10. 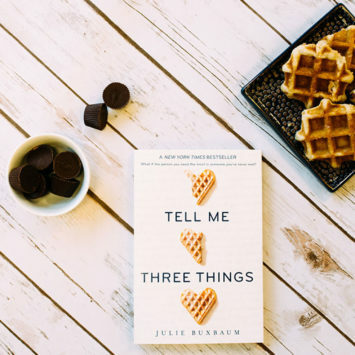 What is the one thing you want readers to know about your new books? Adriana: The mystery in Haunting the Deep was inspired by an old letter I found in my grandmother’s desk, which recounted the story of how my relatives survived the Titanic. Tara: The Breathless is the book I wrote for my younger self. I moved around a lot when I was a kid, and I turned to books when I was feeling lonely or when I didn’t know anyone at a new school. Books were my friends back then, and they still are. I’ve always loved stories that are exceptionally strange, like Stephen King novels, and books that are poetic and tragic and powerful, like anything by Toni Morrison. My favorite stories are the ones that have a little magic in them, a glimpse of life beyond the one we’ve come to know. The Breathless is what I would have wanted to read when I was younger—a book about being resilient, about wanting there to be something more to the world than what the eye can see, and longing to change the future for the better, no matter what hand the world has dealt us or what mistakes we’ve made in our past. 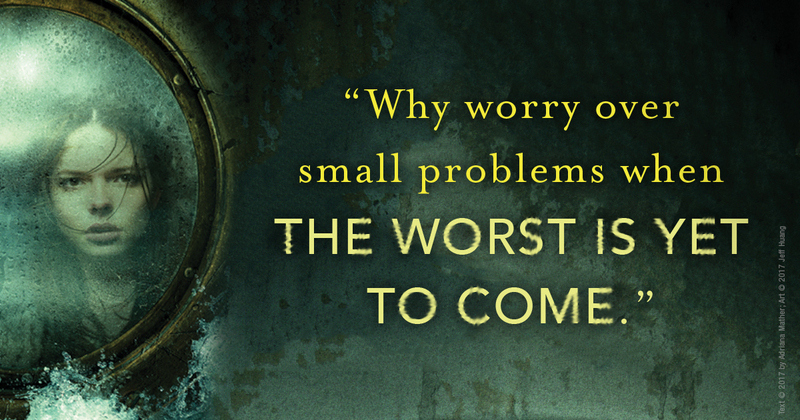 The delicious horror of Ransom Riggs and the sass of Mean Girls meets Titanic in this follow-up to the #1 New York Times bestseller How to Hang a Witch, in which a contemporary teen finds herself a passenger on the famous “ship of dreams”—a story made all the more fascinating because the author’s own relatives survived the doomed voyage. 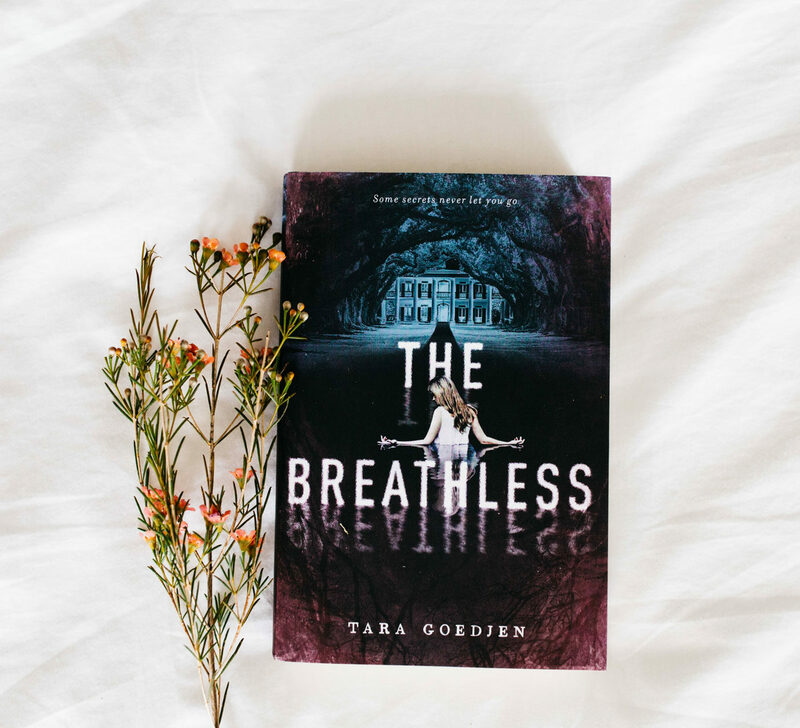 For fans of the dark family secrets of We Were Liars and the page-turning suspense of The Unbecoming of Mara Dyer, The Breathless is a haunting tale of deeply buried secrets, forbidden love, and how far some will go to bring back what’s long dead.